The historic GST or goods and services tax has become a reality. The new tax system was launched at a function in Central Hall of Parliament on Friday midnight. The historic GST or goods and services tax has become a reality. The new tax system was launched at a function in Central Hall of Parliament on Friday midnight. GST, which embodies the principle of "one nation, one tax, one market" is aimed at unifying the country's $2 trillion economy and 1.3 billion people into a common market. Under GST, goods and services fall under five tax categories: 0 per cent, 5 per cent, 12 per cent, 18 per cent and 28 per cent. For corporates, the elimination of multiple taxes will improve the ease of doing business. And for consumers, the biggest advantage would be in terms of a reduction in the overall tax burden on goods. "Inflation will come down, tax avoidance will be difficult, India's GDP will be benefitted and extra resources will be used for welfare of poor and weaker section," Finance Minister Arun Jaitley said at GST launch event in Parliament. The biggest game changer in GST is input tax credit, where credits of input taxes paid at each stage of production or service delivery can be availed in the succeeding stages of value addition. This means that the end consumer will thus only bear the GST charged by the last point in supply chain, with set-off benefits at all the earlier stages. To ensure that manufacturers and service providers pass on the benefit to the final customer, the government has included an anti-profiteering clause in GST. Under this, it becomes mandatory to pass on the benefit of tax reduction due to input tax credit to the final customer. The implementation of the GST is not expected to have a material impact on overall inflation, the Reserve Bank of India said in its latest monetary policy statement. Economists also predict a benign inflation regime with global crude prices remaining soft and forecast of normal monsoon. Though the tax rates in some select services categories like banking and financial services go up, overall inflation may not be impacted significantly, according to economists at DBS Bank, who say the overall tax burden will get lowered over time. "The impact of GST on service sector in the short term could be inflationary as the tax rate would immediately shoot up to 18 per cent. 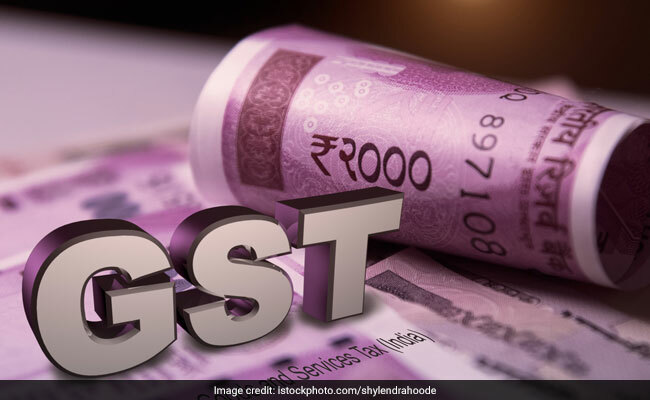 However, going forward, it is expected that due to reduced cost because of availability of GST credit on items hitherto not available, the price of services will come down which will benefit the consumers," said Sandeep Sehgal, director-tax and regulatory at Ashok Maheshwary & Associates LLP. Manufacturers may wait for a few weeks to gauge the net impact of GST on them as well as on wholesalers and distributors and may revise the prices accordingly later, says Mr Sehgal. Domestic stock markets have come off recent highs in the run-up to the GST amid some cautiousness over its implementation. In the near term, the markets are looking at the implementation of GST, says Dhiraj Relli of HDFC Securities, which sees Nifty hitting new highs of 10,300-10,400 this fiscal year. Analysts say that markets will need some time to adjust to the GST implementation process, which could partially hurt corporate earnings in the short term but will boost earnings over the long term. For India Inc, the biggest benefit would be the ease of doing business. GST replaces multiple taxes, multiple interfaces, multiple compliances regime into one, says Ansh Bhargava, head for growth & alliance at Taxmann. "India is moving towards tax-compliant society where filing of returns will not just be easy but transparent too. This tax compliance will lead to higher revenue for both the central and state governments and enable them to fulfil their social objectives," he said. Small traders with annual turnover less than Rs. 20 lakh are exempt from GST registration. In further relief to small businesses, under the composition scheme, they will benefit from not having to meet with detailed compliances under GST. However, they will not get the benefit of input tax credit. If businesses opt for the composition scheme, traders with turnover below Rs. 75 lakh will have to pay 1 per cent tax on turnover. Manufacturers will have to pay 2 per cent while restaurant businesses will have to pay 5 per cent.